Well, the time has arrived. 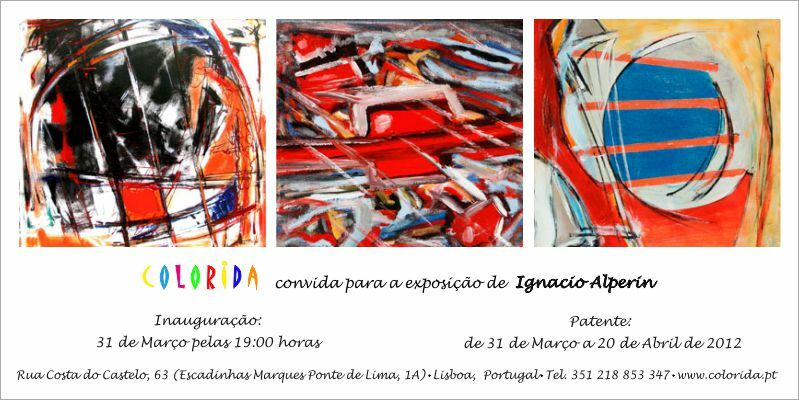 My first pieces have made it into beautiful Lisbon and in just a few days (from March 31st, 2012), they will be exhibited at the Gallery. It is a long way (both in distance and time wise) for my Australian born Visual Jazz to travel. For those of you who have never been there, Lisbon is the westernmost large city in Europe, and the only one along the Atlantic seashore. It is one of the major economic capitals on the continent, with a growing financial centre and one of the largest container ports on Europe’s Atlantic coast. But above all, it is a wonderful city of in terms of culture and architecture. Lisbon is one of the oldest cities in the world, predating London, Paris and Rome by hundreds of years. By the time Julius Caesar came along the city was large enough to the point that he made it a municipium then called Felicitas Julia, adding to the name Olissipo. When I look at its history and culture, I am humbled and honored to have the opportunity to show my art in such surroundings. Lisbon has two sites listed by UNESCO as a World Heritage Site: Belém Tower and Jerónimos Monastery, while in 1994, Lisbon was the European Capital of Culture. Here is one of the paintings that were exhibited at the Fundacion Standard Bank Gallery Space in Buenos Aires between March and April last year, and which has luckily travelled now all the way to Portugal. It is called “Water in the Moon”. It is 50 cm. 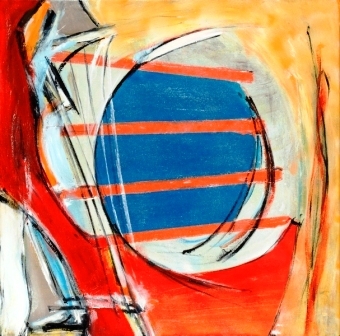 x 50 cm., mixed media on canvas and it is from 2011. And to stay with this wonderful idea of a radiant and monumental city by the sea, beamed by a watery Moon, how about if we continue in this very Continental mood for the closing and share this video of Michel Legrand and Stephan Grappelli performing a great interpretation of Morgan Lewis’ “How high the Moon”, recorded live in 1984.